]Tarzan Tree Removal Japanese Pine Trees. Tarzan Tree Removal takes pride and passion in the trade and industry. In all cases, we always put the best interest of the tree first. 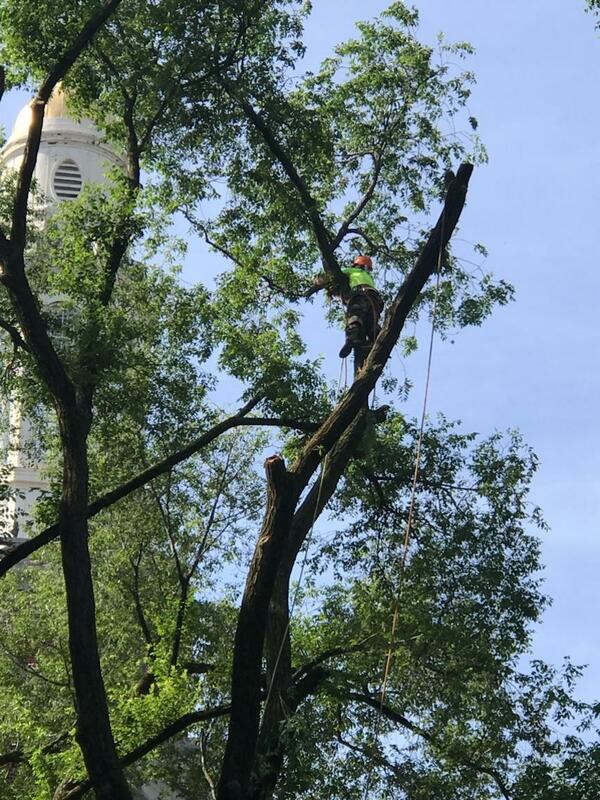 If there is a way that our team can preserve a tree through trimming and pruning tactics, it will always be our first option. In Japan, there are some trees are considered especially important. This includes three types. The pine. Pines are found across New York and the Brooklyn area. In the Japanese culture pine trees symbolize positivity, as it is evergreen all year round. Even in the colder seasons like fall and winter. Bamboo is sacred and stands for strength because they grow long and tall. This type of plant is very prominent in Japan and other Asian Countries. Rose blossom. Since this type of tree only grows in the dark of winter Japanese people believe that it represents patience. The Brooklyn area is also filled with cedar trees, just like in Japan. However, they do not have the same affect on New Yorkers as they do it Japan. 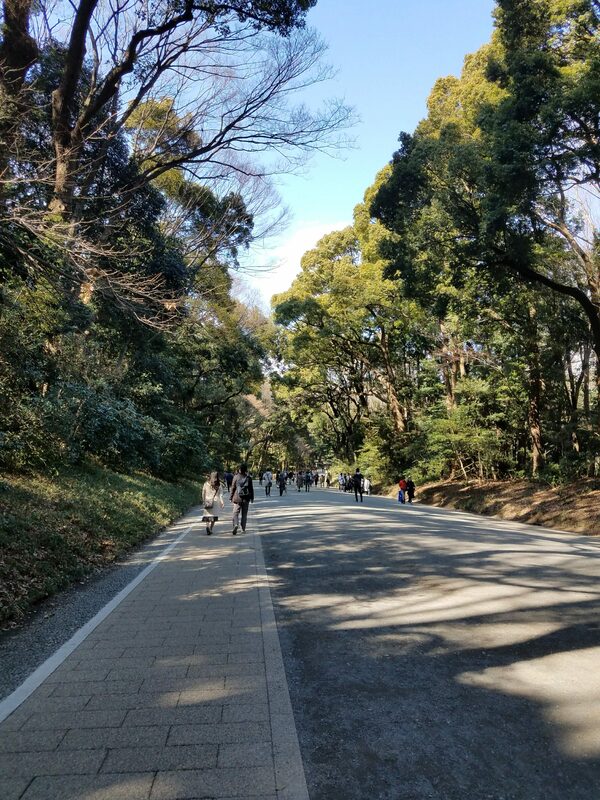 Another fact about Japan is that 70% of the country is covered in forest. During World War II the Japanese had to cut down much of its forest for supplies. After the war was over they planted cedar and pine trees. These types of trees grow quickly and easily replaced the empty patches of land. Fast forward to the current state of Japan. The cedar trees are now the cause for the allergies almsost 40% of Japanese people suffer from today called Hay Fever. Because the cedar trees began to grow so rapidly, it was hard to stop them. During the spring months many Japanese people will wear masks and take tons of medication for Hay Fever. In New York, however, we do not have to worry about Hay Fever. Government companies like Build it Back have been working in Brooklyn since Hurricane Sandy. After the destruction of the storm, many families were left with homes destroyed by the water. Although some were able to be fixed, most were completely destroyed. Build it Back has been working since 2012 to rebuild the homes ground up. Not only are they re-built, but all of the homes have been completely raised. So that if another storm happens again there is a lesser chance of water getting into the home if it is 10 above the ground. Tarzan Tree Removal has been helping families fixing their home privately. We have been hired by contractors that work for Build it Back to remove trees in order for the building process to continue. Although its been over four years since Hurricane Sandy, we are still being hired by them. 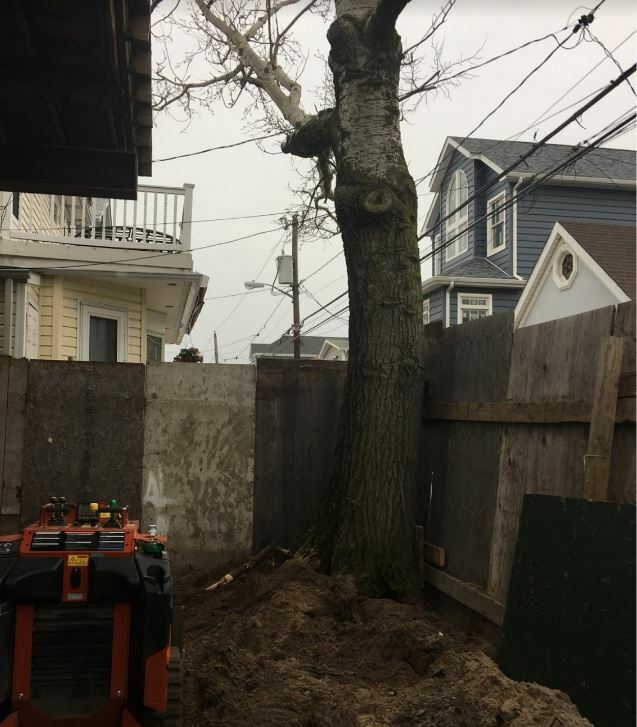 Recently, just about a week ago, Tarzan Tree Removal was hired on Bedford Avenue to remove a tree out of the backyard for Build it Back. Although the home was almost complete, the contractors felt that the tree was posing a threat to the property. There are many homes still waiting to be finished in the Brooklyn area. 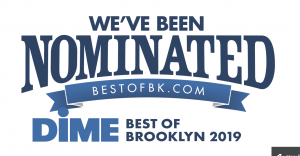 Especially Gerristen Beach, which is surrounded by water and its known as ‘the beach’ area of Brooklyn. This area was hit very hard during Hurricane Sandy with homes still empty and damaged, waiting to be fixed. Tarzan Tree Removal is located in Gerristen Beach and has become the premiere emergency tree service for the area. The company is fully insured and has workers comp insurance. Since this type of insurance is expensive, most companies do not have them. This is why our company stands out from the other companies. 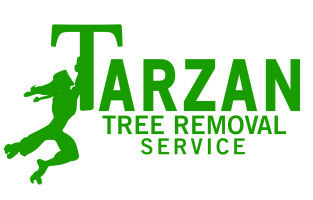 By choosing Tarzan Tree Removal you are paying for a service and the protection of your personal property. If an accident were to occur, which can happen due to the nature of the work, our insurance will protect the homeowner in every way. These certificates can be provided for the client prior to a tree project start date. 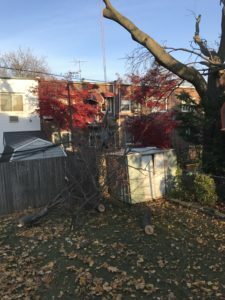 For more questions about our tree service, please call 347-833-5862.